Calvin and brother Luther purchased foundation crownvetch seed and convinced father Ted to plant it on five acres of the family farm. Many of the most successful enterprises in history owe their staying power to a visionary leader – one who guided them through the best and worst of times – always with a steadfast resolve and unwavering vision for their destiny. The history of Ernst Conservation Seeds is one such story – intertwined uniquely with that off its founder and president, Calvin Ernst. Born and raised a stone’s throw from where his sprawling agribusiness calls home, Calvin proved himself to be a savvy entrepreneur by the young age of 14, when he received his Pennsylvania nursery license, now known as a plant merchant certification. In his senior year of high school, Calvin grew the record corn crop in Crawford County with guidance from his 4-H leader and the local Penn State University Cooperative Extension office. As a junior at Penn State, Calvin, his brother Luther and some friends were performing research on crownvetch – an herbaceous legume that spreads through both rhizomes and seed – for the Pennsylvania Department of Transportation. Some staff members from the University told the young men they couldn’t find anyone interested in growing crownvetch. Calvin recalls, “I didn’t initially think that seeds would be my thing. It was really the challenge of doing something PennDOT couldn’t get anyone else to do that put me on this path.” And Calvin has always loved a challenge. 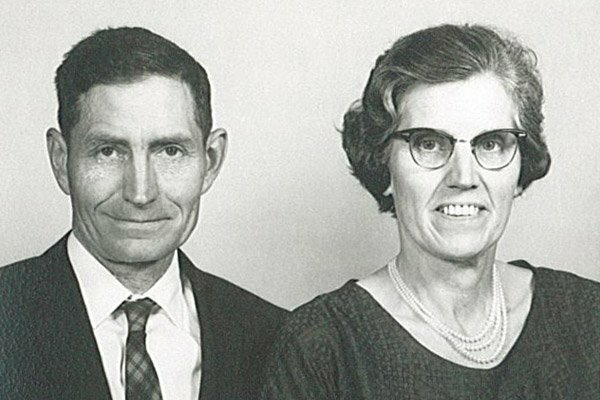 It was also in 1963 that Calvin made his most auspicious proposal – and realized his greatest personal gain – when he requested, and was granted, the hand of Marcia Atwell in marriage. The two have been life and business partners ever since, literally traveling around the globe and making an indelible mark on the seed trade industry in the ensuing 50-plus years together. 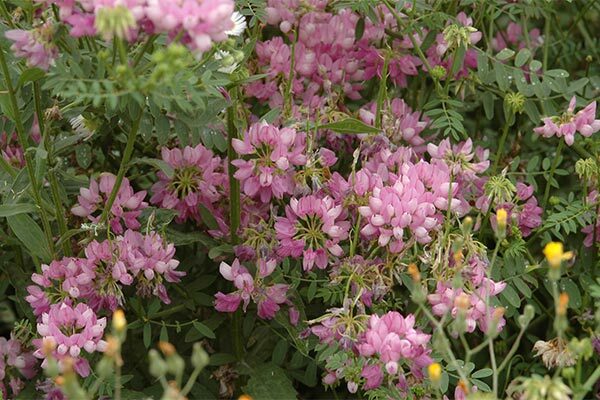 The Ernst brothers planted an additional 60 acres of crownvetch on leased land in the spring, and harvested the earlier five-acre stand that fall. With Ted’s assistance, the 1964 crop was sold to Stanford Seed in Plymouth Meeting, Pennsylvania. 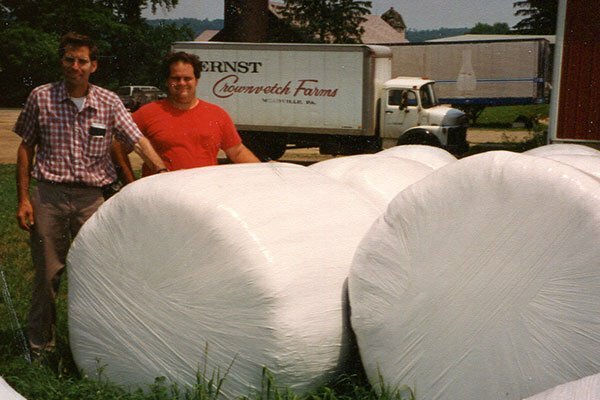 The Ernst family enterprise – newly dubbed Ernst Crownvetch Farms – had its first customers and was officially in the seed business. The sale to Stanford Seed and other early customers allowed the fledgling agribusiness to hire its first full-time employee, who would help them expand production on owned and leased land. 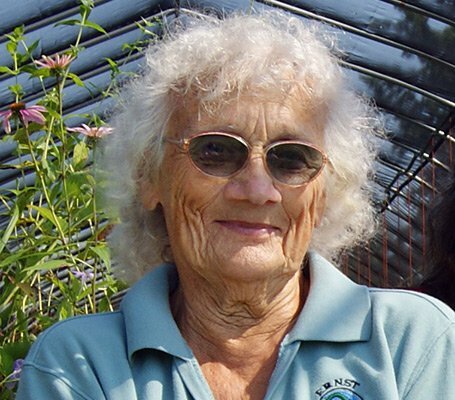 Calvin had witnessed firsthand the potential of crownvetch for erosion control while living and working in the greenhouses at Penn State. His gut told him this legume held enormous potential for commercial viability. His timing couldn’t have been better. It was during this period of time in the mid-to-late 1960s that the massive United States Interstate Highway System was being built. Superhighways like 1-79, 1-80, 1-90 and 1-95 were being carved across the American landscape. Suddenly, there was high demand for effective cover crops to revegetate rights-of-way and highway medians. Much of Ernst Crownvetch Farms’ key growth occurred during the ensuing years, thanks largely to the relationships being cultivated with highway departments and government agencies involved with the interstate system. The crownvetch crop made it possible to purchase the 180-acre property which Ernst Conservation Seeds still calls home today. It also allowed for the Company’s first personnel expansion to what was then a handful of people who helped the Ernsts grow both crownvetch seed and crowns. That fall, Ernst Crownvetch Farms joined forces with Multi-Systems, Inc., a public corporation based in Detroit, to purchase a 640- acre farm in north central Nebraska, where they plowed under the native prairie and planted the entire farm in irrigated crownvetch. 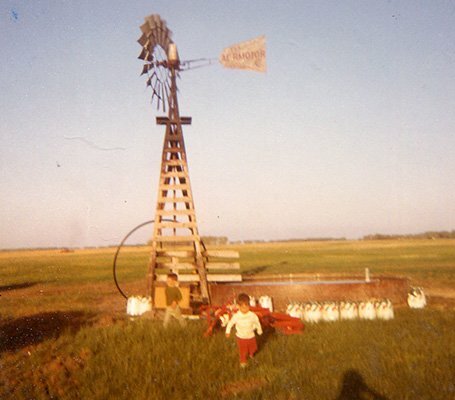 The purchase doubled the acreage Ernst had in production at the time. Over the next three years, Calvin, Marcia and young sons Andy and Michael would spend a couple months each spring and fall living on the Nebraska farm while fields were planted and harvested. Peg “Granny” Simmons was hired in 1970. She still works in our greenhouse. The price of crownvetch collapsed. The Ernsts’ partnership with Multi-Systems was mutually severed, with Ernst Crownvetch Farms owing $12,000. With no available assets, Calvin and Marcia took yet another risk by securing local Farmers Home Administration financing on approximately 500 acres back home in Crawford County. The couple expanded their business by growing crownvetch crowns and potted plants. They soon paid their debt from the dissolved partnership and moved on, in control of their own destiny once again. 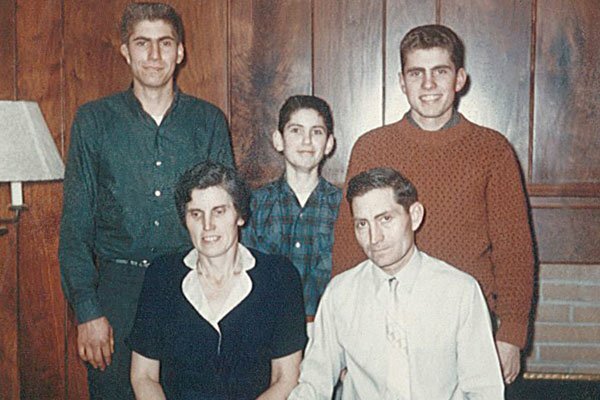 In the winter of 1974, into 1975, Calvin asked his cousin Bob Stein, an Army veteran who received the Purple Heart in the Asian-Pacific Theater, to help him build an elevator and a 5,000 bushel grain storage complex. A neighbor told Calvin that he would never grow enough corn to fill it … within five years, Calvin was producing over 100,000 bushels of grain. Bob continued to help Calvin and the Company expand until his death in 2007. 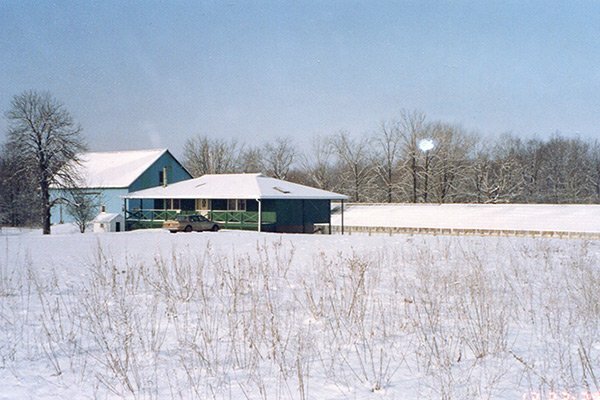 Our first office was the blue barn, and the second office was the green house in this photo. 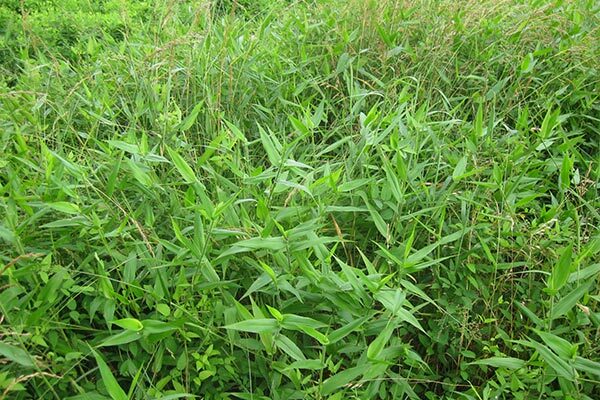 Panicum clandestinum (Deertongue) was Calvin’s first native seed crop. Ernst planted its first foundation switchgrass (‘Shelter’ variety). The business continued to expand until the 22% interest rates of the early 1980s hit. When the value of crownvetch wasn’t worth the cost of harvesting it, the couple began growing large volumes of no-till corn planted right into the existing crownvetch fields. The practice created high corn yields due to the legume’s excellent nitrogen-fixing properties. Once again, crownvetch had saved the day, even when it was playing a supporting role as a cover crop. Ernst Crownvetch Farms hired its first full-time information technology employee to manage the Company’s inventory and sales & marketing activities. This progressive move was becoming characteristic of the Ernsts and their approach to agriculture as a true business, and its employees as professionals. “I think I’ve generally been successful at finding or developing a skill set within an employee – a skill set that was useful for the business and that person’s professional growth,” he comments. “I’ve tried to mold some of our employees into what the business needs them to be with a lot of success. And some of them I’m still working on,” he laughs. Later in the decade, Ernst began growing native deertongue obtained from the USDA’s Big Flats Plant Materials Center (PMC) in Corning, New York. Deertongue was the first in native used for strip mine reclamation where low soil pH was a challenge. Calvin credits the propagation and marketing of deertongue seed as the turning point in the Company’s eventual transition from the non-native crownvetch that had driven sales for the first 20-plus years to the native plant species that would assume that role moving forward. The Company planted its first foundation switchgrass seed (‘Shelter’ variety). 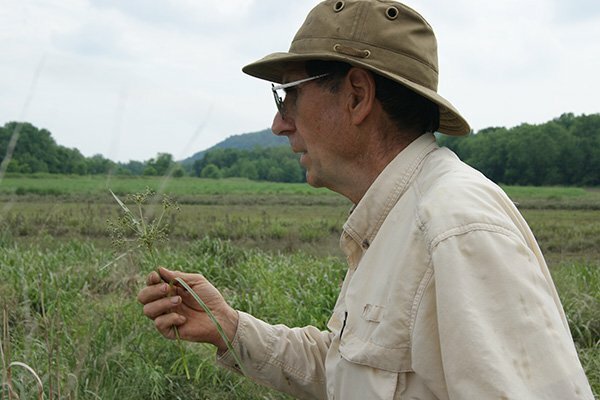 Calvin was interested in switchgrass because it added wildlife value to strip mine and reclamation seed mixes. It wouldn’t take long, however, for him to find an even higher calling for this high-yielding, warm season grass that grows so well on marginal lands. Calvin and Andy pose in front of an Ernst Crownvetch Farms truck in 1993. 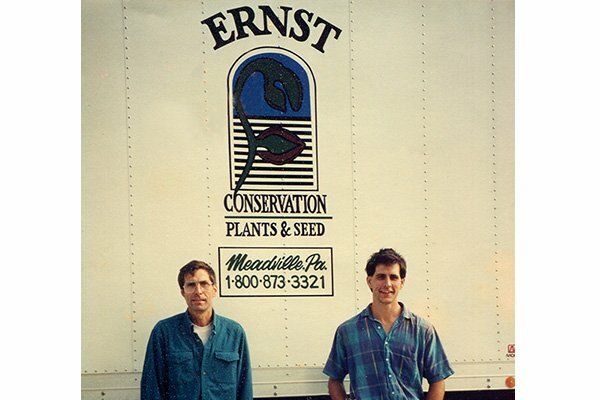 Calvin and Michael pose in front of an Ernst Conservation Seeds truck in 1995. 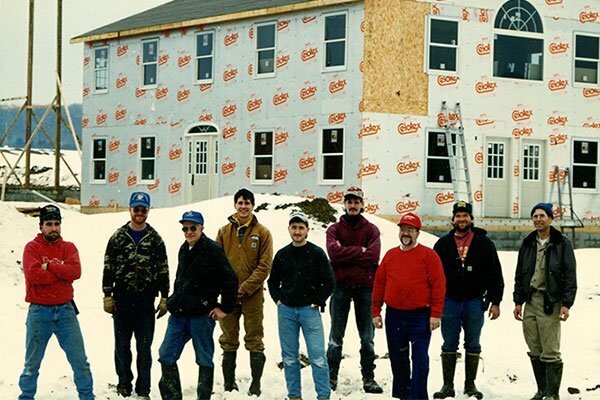 The Ernst team was growing and needed a new office in 1996. Ernst was purchasing much of its crownvetch seed from growers in southeastern Minnesota in order to mitigate the effects of low market prices. The Company built a small processing facility and erected a handful of grain bins there. Calvin recalls that these activities in Minnesota first piqued his interest and drove a shift in his business strategy toward the diversity of natives and their potential to revolutionize the seed trade. Southeast Minnesota and Iowa were home to many of the first commercial growers of native ecotypes. This fraternity of like-minded producers was very helpful, sharing their combined insights with the ever-curious and innovative entrepreneur. In short order, Calvin began shifting acreage from grain and crownvetch production to that of native forbs and grasses. In step with Ernst’s shift toward native ecotypes was a shift in the attitudes of government agencies toward the use of non-native species, such as crownvetch. Non-natives, specifically those classified as aggressive species, were beginning to be blacklisted in favor of a move toward native species. Once again, Calvin had begun innovating and adapting his product offering ahead of the curve. Calvin has always believed in the need to continually educate himself and others on best practices, to study the future of agronomy and foresee opportunities to diversify and meet future demands. His peers recognize this as well, often inviting him to speak or to participate in the greater conversation within the industry. In the summer of 1990, Calvin and Marcia traveled to Eastern Europe as part of the “People to People” exchange program in order to study a diverse agricultural practice. In 1991, Calvin traveled with the USDA to China to promote inter-cropping perennial legumes with annual grain crops in order to reduce crop inputs and erosion. 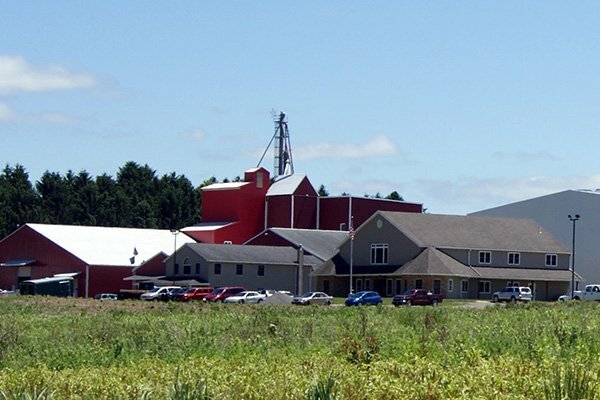 Ernst Crownvetch Farms secured the rights to grow and market ‘Niagara’ Big Bluestem, which was successfully planted in 1994. At about this time, the Company changed its name to Ernst Conservation Seeds in order to better represent its evolving products and philosophy. 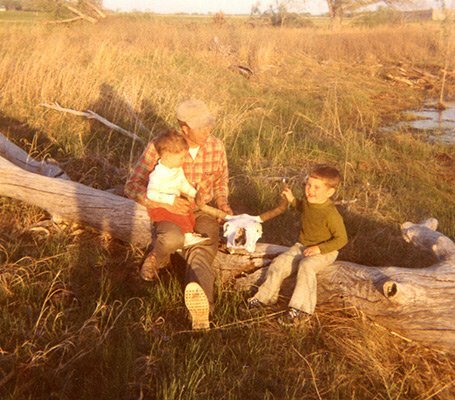 By that time, Ernst was wild harvesting and growing native wetland seeds for the wetland mitigation market. Further opportunity arose when Ernst began collaborating with federal agencies, highway departments and land developers for the purpose of establishing wetlands and meadows using native seeds, and teaching these groups how to install bioengineering materials for soil stabilization. Andy, Michael and Robin all pitched in with Ernst employees to expand native seed production and sales. Andy became involved in both state and national professional seed organizations that promote better quality standards. Michael busied himself building additional processing, storage and office capacity. Robin directed seed sales and promoted efficient native seed installation. Mark Fiely joined Ernst Conservation Seeds as its full-time horticulturist, helping Calvin diversify the Company’s offering of native ecotypes. To this day, Mark spends a considerable portion of his time traveling the eastern United States in search of new species and researching their viability as production crops. He also works closely with customers, from large government agencies to landscape architects and hobby gardeners, all with the goal of educating them on the use of native species and assisting in their successful establishment. 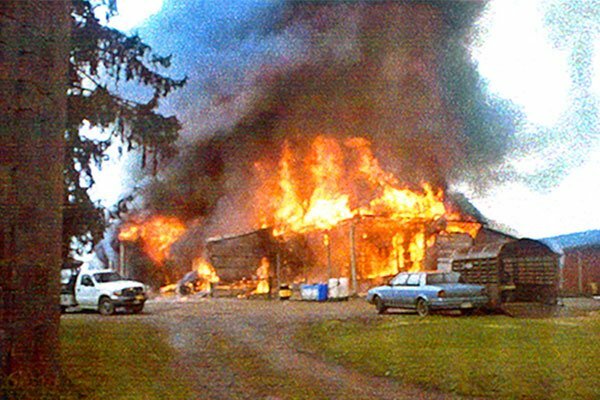 In 2001, fire destroyed a major portion of the Company’s seed conditioning facility and several of that year’s crops were lost. In 2005, Ernst leased 5,000 acres of marginal farmland in Crawford County and planted switchgrass for seed and biomass production. A fire destroyed a major portion of the Company’s seed conditioning facility in Meadville and several of that year’s crops were lost. Employees and neighbors brought their own tools to help the family rebuild. “Our community was showing up to help us before the end of the first day,” recalls Calvin. With used equipment and loyal employees, seed was conditioned outside through the winter. A new seed processing facility was completed, including equipment repair bays and a secure bay for the handling of field spray applications. Though the incident was tragic, it is widely seen as a unifying moment in the history of the Company, strengthening bonds between the family, its employees and the community, while also necessitating facility expansion and improvements that would pay dividends in short order. In response to a challenge to develop a native seed source for the extreme southeastern United States, Calvin initially utilized his vacuum harvesting technology to wild harvest wiregrass in central Florida. These successful wild harvests and collections of native forbs and grasses throughout Florida gave him yet another opportunity to expand. The Ernst family purchased a farm in Live Oak, Florida, named it Ernst Southern Native Seeds, LLC, and began field production, with frequent assistance from the NRCS Plant Materials Center [PMC) in Brooksville, Florida and the Florida Wildflower Seed & Plant Growers Association. Due to decreased demand, coupled with production difficulties involving wiregrass and some of the forbs, this venture did not prove to be as fruitful as hoped. However, with the aid of the Brooksville PMC, Calvin is successfully producing seed of two PMC releases of ‘Stuart’ and ‘Miami’ switchgrass. 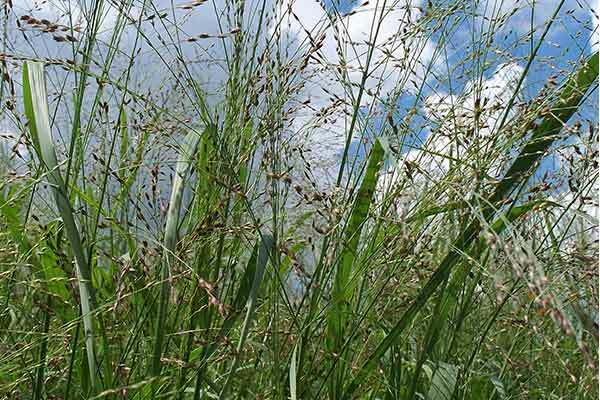 Additionally, in cooperation with the U.S. Department of Agriculture, Agricultural Research Service (USDA, ARS) in Griffin, Georgia, he is multiplying seed for more than 40 southeast ecotypes of lowland and upland switchgrass, along with his own native wildflowers. 2005 Calvin had been considering the potential for developing grass biomass for energy production. Calvin put his plans to the test by leasing 5,000 acres of marginal farmland in Crawford County and planting switchgrass for seed and biomass production. With marginal land being what it is, Calvin learned plenty about the effects of low pH and wet soils. 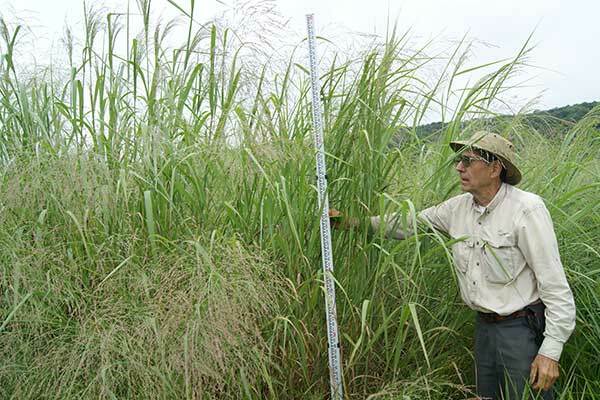 Research soon began on the densification of switchgrass for use in direct combustion applications. In a characteristically gutsy move, Calvin decided that his company would need to be the innovator once again – leading the charge instead of sitting on the sidelines of progress. Ernst would build its own state-of-the-art facility to process warm season grasses. Michael and a select group of dedicated employees designed and constructed a pellet plant that uses only grass. 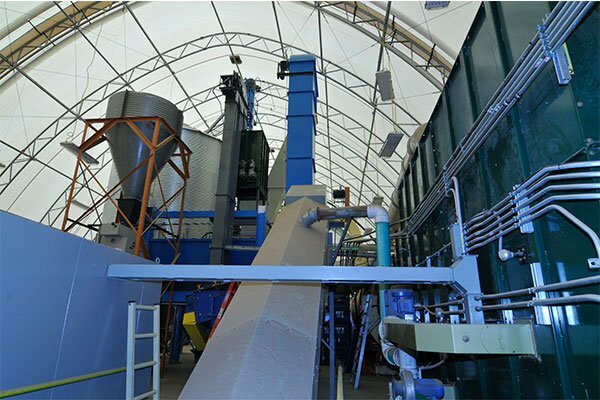 Ernst built its own state-of-the-art facility -Ernst Biomass, LLC – to produce densified grass pellets for multiple uses. The plant was completed and is currently producing densified grass pellets for multiple uses as a separate entity called Ernst Biomass, LLC. 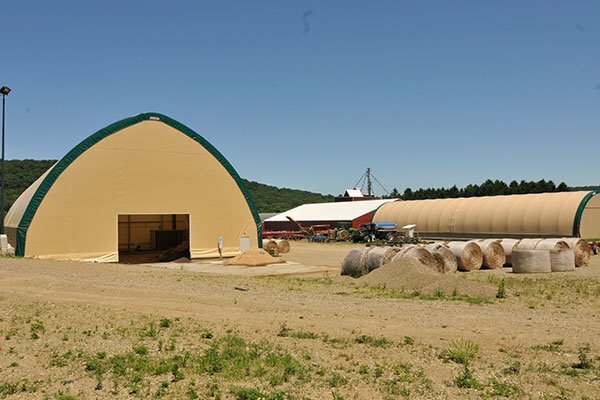 The facility has opened many market opportunities for grass biomass, including numerous agricultural applications and uses in the burgeoning Utica and Marcellus shale oil and gas plays of the northeastern United States. Our founder and president, Calvin Ernst, still actively manages the day-to-day business of Ernst Conservation Seeds. Our headquarters has grown significantly over the years, but remains in the same spot it began over 50 years ago. Today, with over 9,000 acres in production, Ernst grows hundreds of diverse crops for conservation, ecological restoration, beautification, energy feedstock and wildlife habitat. Future growth opportunities can be seen in increased public and governmental interest in sustainable landscapes, low-impact development, responsible reclamation and restoration, pollinator habitat, improved biodiversity and evolving practices in conservation agriculture. While Calvin and Marcia show no sign of slowing down, their children all play critical roles in the future growth and diversification of Ernst Conservation Seeds and its affiliates. Andy and Michael Ernst share responsibilities for day-to-day operations at Ernst Conservation Seeds and Ernst Biomass, while Robin operates Meadville Land Service, Inc., a full-service mobile restoration company specializing in the construction, restoration and mitigation of streams and wetlands, as well as native planting, seeding and the installation of bioengineering material. Darrell Ernst, Calvin’s younger brother, has been with the Company as an electrical and hydraulic mechanic for over five years. The extended Ernst “family” has grown to approximately 90 full-time employees, including field production crews, sales & marketing staff, researchers, seed conditioning specialists, finance, purchasing, inventory management and human resources professionals. After a passing glance back on the first 50-plus years of his company’s history, Calvin immediately focuses on the promise of its future. “The environmental climate and professionals in the field are recognizing how important natives are in the whole restoration of our North American ecology, and that natives are the best choice for use in just about every scenario. “Through our experience, we know how to harvest these seeds and grow them in a production environment. We know how to help our customers repeat our success in their own unique applications, and we take the time to do that with each customer. “There’s progress to be made in the efficiency of producing native seeds and in discovering or creating new markets for them. We continue to find new plants in diverse ecologies that may contain a thousand species in a square mile.